Find a luxury hotel in Taormina from the Hotique Hip Hotels Guide. Hotique is an independent guide, featuring luxury 5 star design hotels, hip hotels and unique boutique hotels including hip hotels in Taormina. 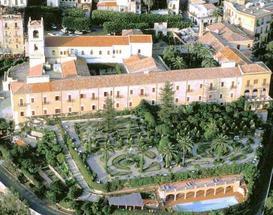 View our featured hotels in Taormina below or search for a boutique hotel in Taormina. Perched on a cliff side with stunning views, Taormina is a charming Sicilian destination with historic buildings, pretty shopping boutiques, restaurants and bars nestled by the sea. San Domenico is situated is right in the heart of Taormina, within walking distance of all the main sites including the main shopping street Corso Umberto, the restaurants and bars and the Greek Theatre for evening concerts and events. La Giara - for food and late night dancing, Italian Style. Shopping in the pretty boutiques of Corso Umberto. A late afternoon espresso or gelato people watching.